If you are confused by all of the different terms on the menu of your local coffeehouse, you are not alone. If you have a hard time telling your cappuccino from your latte, the following guide will provide you with the basic knowledge that you need to order your favorite coffee drink with confidence. 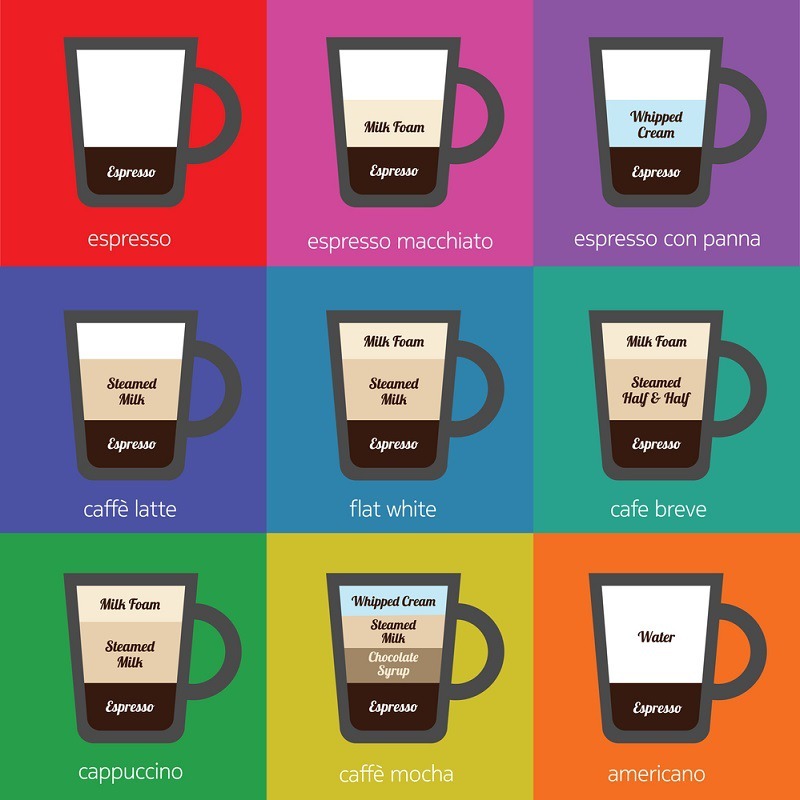 What Are the Differences Between a Latte, Cappuccino, Macchiato, Mocha, and Flat White? What Is the Difference Between Frothed Milk and Steamed Milk? What Makes a Drink a Latte, Cappuccino, Macchiato, Mocha, or Flat White? Lattes and cappuccinos are both made from espresso and milk. The distinction between a latte vs a cappuccino lies in the espresso to milk ratio and whether the milk is frothed or steamed. A cappuccino starts with equal amounts of milk and espresso. A latte, on the other hand, uses twice the amount of milk as espresso. A cappuccino is characterized by a rich head of milk that has been frothed to twice its original volume, which makes the ideal canvas for foam art using everything from cocoa powder to syrups and nuts. For a latte, the milk is steamed to between 150°F to 160°F and poured into the serving cup along with the espresso. 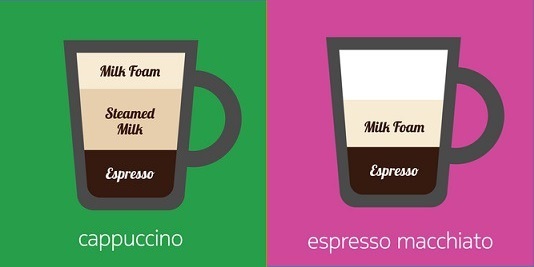 The difference between a macchiato vs a latte depends on exactly what you mean by macchiato. A traditional macchiato is simply an espresso topped with a dollop of foamed milk. The result is a cross between a straight espresso and a cappuccino. What many Americans think of as a macchiato is really a latte macchiato. The drink is primarily steamed milk with a small amount of espresso on top. 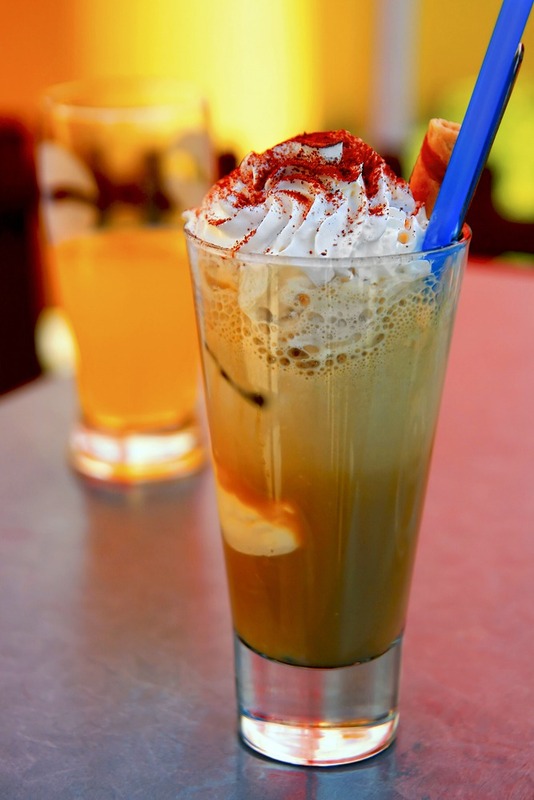 Latte macchiatos are often topped with caramel syrup. The difference between a latte macchiato and a latte is evident in the translation of the terms. The word macchiato means “stained milk” while latte means “coffee with milk.” A latte starts with espresso with the milk and foam added on top while a macchiato is basically the reverse. This result is a very pale coffee that is perfect for those who do not like a strong coffee flavor. Cappuccinos contain more espresso than latte macchiatos, so you do end up with a stronger coffee flavor; however, one of the biggest differences between a latte macchiato vs a cappuccino is in the presentation. Cappuccinos are often served in 6-ounce cups. There will typically be a circle of crema around the edge of the cup with a rich foam in the center. Latte macchiatos are traditionally served in a tall glass. When poured correctly, a macchiato will have lovely layers with the milk on the bottom and a thin layer of espresso on top. Mocha refers to a specific type coffee bean originating from Mocha, Yemen. The flavor of Mocha coffee has distinctive chocolate undertones. This is why baristas will add a little chocolate to Mocha espresso to enhance the natural flavors of the coffee. Another contrast between a latte vs a mocha lies in the amount of milk used. 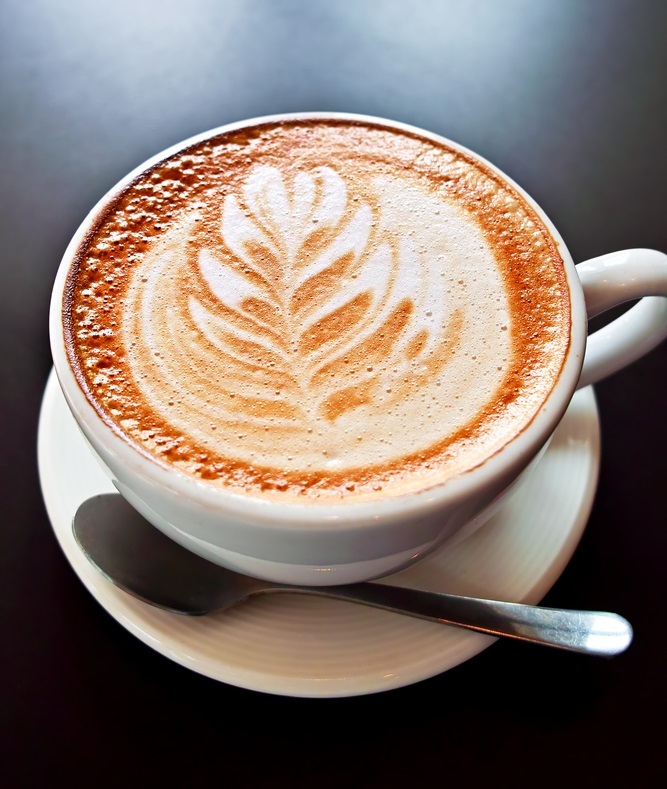 A latte uses much more milk in relation to coffee than a mocha, resulting in a much lighter drink. While a flat white is popular in New Zealand and Australia, it is still a relatively new drink here in the United States. There is a common misconception, even among some baristas, that a flat white is simply a small latte. 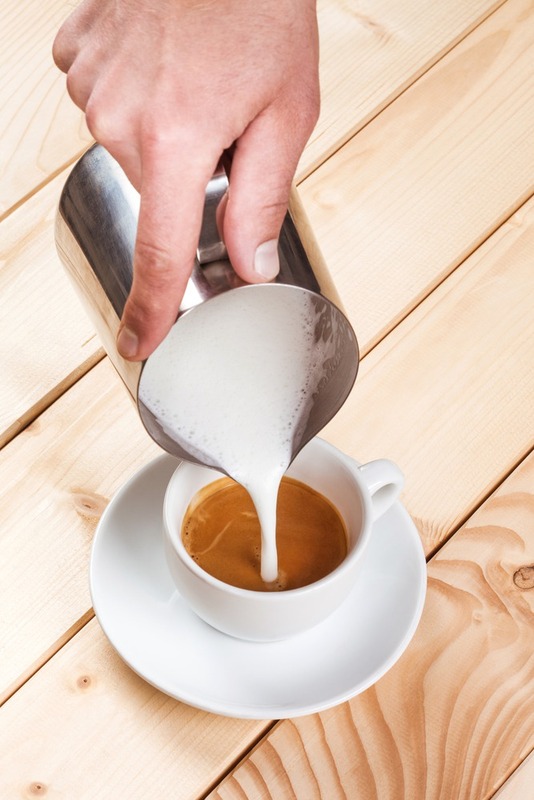 It is true that both drinks start with a basic espresso; however, there is a distinct difference in the milk to coffee ratio as well as how the milk is prepared. The result is two vastly different coffee experiences. A well-made flat white will have an even mix of coffee and microfoam and will be topped by a delicious crema. It will have a velvety mouth feel and will taste like a rich espresso. A latte will have more of the liquid milk and less of the microfoam and froth and will taste like milky coffee. Unfortunately, many baristas are either under-trained or over-trained to the point that you end up with essentially the same drink in most coffee shops. When it comes making your favorite espresso-based coffee drinks at home, it is important to master the proper techniques for preparing the milk. 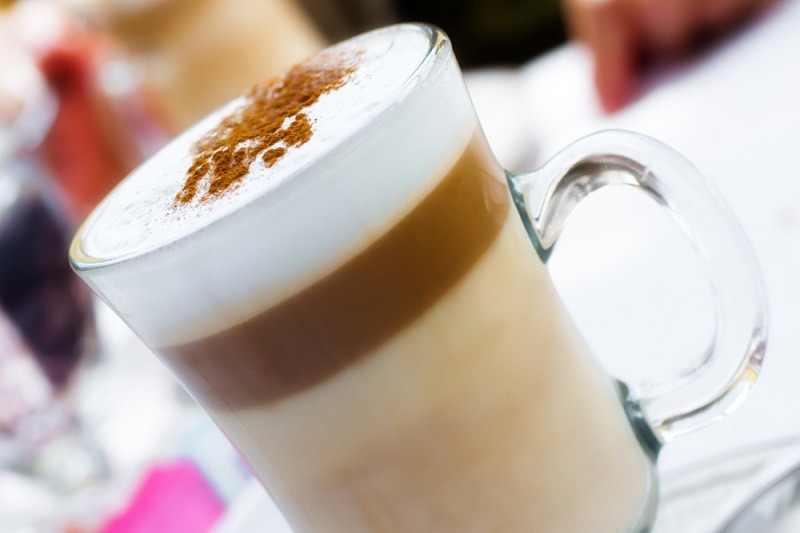 Cappuccinos, lattes, mochas, and macchiatos all require milk that is either steamed or frothed. Steamed milk is heated to the point that the fats in the milk start to break down and create very tiny bubbles known as microfoam. This adds a little sweetness to the milk and gives it a silky texture. The focus in steaming milk is to add heat to the milk and not to inject air. Always start with cold milk. Use a thermometer to make sure that your milk is heated to the appropriate temperature. Stop steaming when your milk reaches 135°F to 140°F. The temperature will continue to rise to about 150°F to 160°F. You should tilt the milk pitcher at a slight angle while steaming. This will allow the microfoam to mix with the milk so that it becomes smooth and silky. Frothed milk has a bubbly texture that will hold its shape. This is why frothed milk is perfect for creating foam art on a cappuccino. Frothing is accomplished by using the steam wand to inject air into the milk. Cold milk will provide more foam. You will achieve the best balance of froth and flavor by using 2 percent milk. Use a thermometer to make sure that your milk is between 140°F and 155°F. Remember to purge the steam wand before frothing your milk. The steam wand will hold a little water that you do not want in your milk. Open the valve for a few seconds to purge the water into a cup or drip tray. Whether you want a latte, cappuccino, or macchiato, you will need espresso and milk. For a mocha, you will also need cocoa powder or chocolate syrup. The rest lies in the amount of espresso and milk that you use and how you prepare your milk. Lattes are essentially a coffee-flavored milk drink. Unlike the much stronger cappuccino, a latte uses approximately one part espresso to three parts milk. You can also experiment by adding various flavorings. 5 to 6 ounces of steamed milk. Top off your latte with a thin layer of the microfoam. A cappuccino is made up of 1/3 steamed milk, 1/3 espresso, and 1/3 foamed milk. 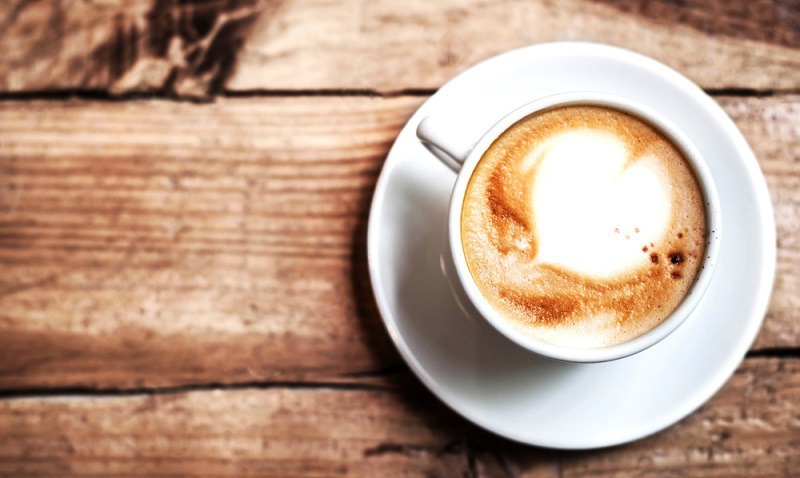 Since a cappuccino has a coffee to milk ratio of approximately 1:1.5, it has a full-bodied, bold coffee flavor. Be sure that you do not skimp on the quality of your beans, since the espresso is the predominant flavor. 1 ounce of microfoamed milk. Depending on your preferences, you can vary the amount of milk and foam. A wet cappuccino uses all milk and no foam. A dry cappuccino uses mostly foam and very little milk. A bone-dry cappuccino is all foam and no milk. The definition of a macchiato depends on whether you are referring to an espresso macchiato or a latte macchiato. The former consists of a double espresso topped with a tiny amount of foamed milk. The latter consists of steamed milk and only one-half to one shot of espresso. When ordering a macchiato in a coffeehouse, be sure to clarify with the barista the type of macchiato that you want. To make a classic espresso macchiato, simply make a double shot of espresso and top with a dollop of foamed milk that is the texture and consistency of melted ice cream. If you prefer your macchiato similar to what you find at Starbucks, try the following recipe. Add 1 tablespoon of vanilla syrup to a tall glass. Froth about 2/3 cup of milk, and add it to the glass along with the foam. Pour one shot of espresso into the center of the glass. A mocha is stronger than a cappuccino and has a distinct chocolate flavor. For a true mocha, you will want to use coffee beans from Mocha, Yemen. 1 ounce of steamed milk. Mochas also make a lovely adult beverage with the addition of some Cognac, Sambuca, or Bailey’s Cream. The keys to a successful flat white are the coffee to milk ratio and the texture of the milk. A good barista will gently swirl the frothed milk in order to incorporate the larger bubbles throughout the liquid to create a uniformly velvety microfoam. The drink should be smoother than a latte and less bubbly than a cappuccino. To make your own flat white, you should use a 1-ounce espresso shot to 5.75 ounces of steamed milk. The milk should be steamed until the volume increases by 25 to 50 percent and the temperature reaches approximately 140°F. The milk should have the appearance and texture of wet paint and should not have any dry foam on top. 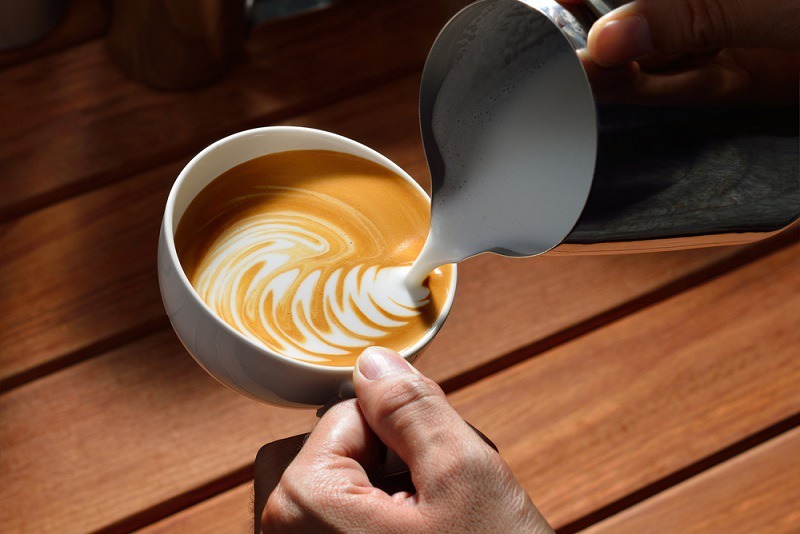 Once you swirl or tap your milk pitcher on the counter to remove any large air bubbles and fully incorporate the microfoam, pour the milk gently into your espresso so that the crema floats on top. Well done, was clear and concise! It was interesting and easy to read. Clear too, so well done. I might use it for training my baristas if they are falling short of some key techniques as explained here!